Alaina and Roger traveled to Maui in April to visit some friends, see the sights, and renew their marriage vows during a sweet, intimate little ceremony on the beach. I tagged along with their small group to photograph the event and capture some Hawaii portraits for the couple. 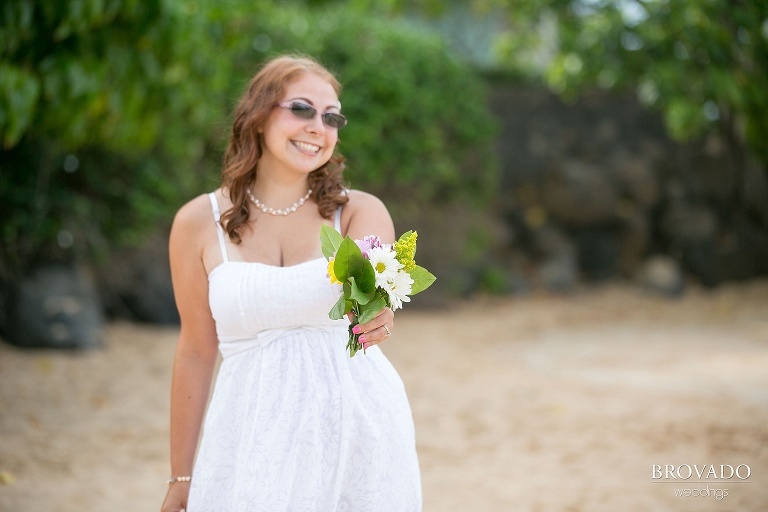 Alaina donned a summery white dress and held a hand picked bouquet. 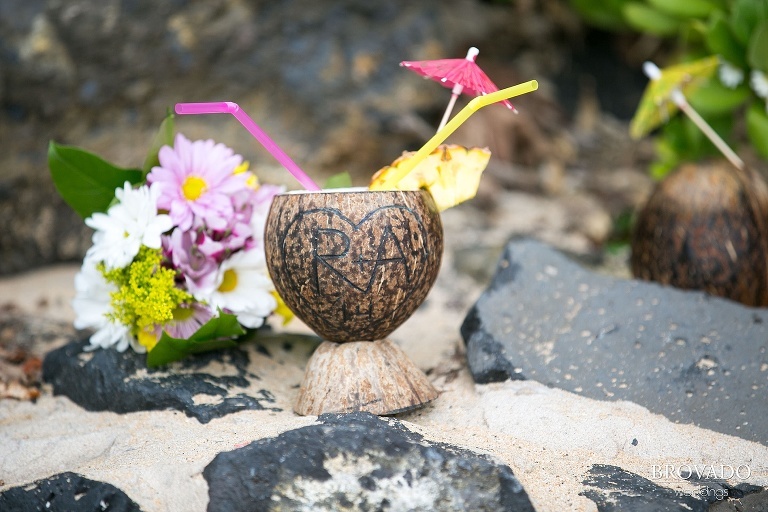 Our friends Stacy and Sam brought purple orchid leis for the ceremony, and personalized “R+A” coconut shells for celebratory drinks, complete with tiny umbrellas. We all had a great time, and we ended up with some great tropical vow renewal pictures! Beautiful, just beautiful, very nice backdrop. I love them. « Hawaii Family Portraits | Akashi’s First Birthday!